To purchase a copy of the film call 212 397-7259. Aired 2011-12. 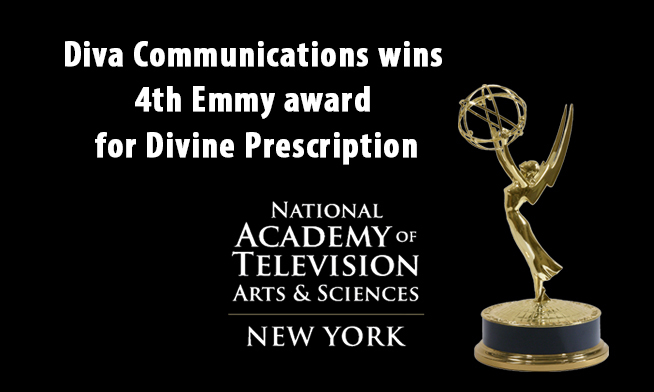 Presented by a Consortium of Jewish Organizations; Produced by Diva Communications Hunger is perhaps the most enduring affliction in the history of the world – from Biblical times to present day – and one to which it seems there is no easy solution. 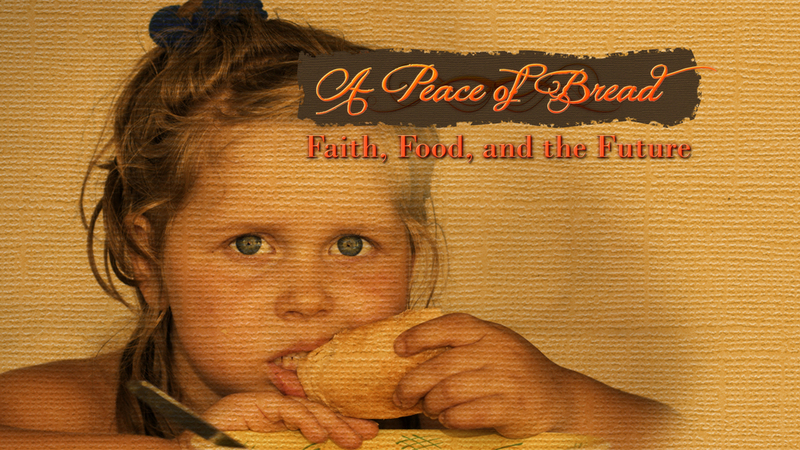 A Peace of Bread: Faith, Food, and the Future explores the work not only of the steadfast caregivers in soup kitchens and food pantries, but also that of a new generation of anti-hunger activists – all of whom driven by faith in a brighter future. Agricultural sustainability, social network community building, creative entrepreneurship, advocacy to reshape food policy – these are just some of the ways in which faith based groups are bringing a new perspective to an old problem. With 36 million people suffering from hunger in our nation, the issue requires a combined effort from many visionaries. David Scherer (a.k.a. AGAPE*) uses the power of music to raise hunger awareness amongst youth across a 100+ show tour every year. As a young college student, Eli Winkelman founded Challah for Hunger to raise money and awareness for hunger through the production and sale of challah bread. The organization has since grown to over 40 chapters in schools across the nation and beyond. The young men of Gozanga’s College High School’s Campus Kitchen spend their summers cooking and delivering meals to the less fortunate in the shadow of the nation’s capitol. At the Jewish Farm School in upstate New York, Nati Passow works toward a long-held dream of agricultural sustainability. Participants connect to their faith by working the land and growing food for the cause. With a generous grant from Odyssey Networks and the support of the New York Board of Rabbis, the National Council of Churches, Mazon: A Jewish Response to Hunger, the Evangelical Lutheran Church in America, the Presbyterian Church in America, Bread for the World, the Union for Reform Judaism, and the Westside Campaign to End Hunger, A Peace of Bread hopes to restore a nation’s conviction that we can eliminate hunger. All it takes is a few creative solutions, the will to end hunger and a lot of big hearts. Aired 2013-14 on ABC. Many female rabbis and cantors in the Reform, Reconstructionist and Conservative movements of Judaism face an interesting quandary. On one hand, “Be fruitful and multiply” is the Torah’s first commandment followed later by, “For you shall be a kingdom of priests and a holy nation.” Imagine the dilemma if you wish to be fruitful and holy, but you’re female, a rabbi or cantor…who is single. All of the Above: Single, Clergy, Mother highlights the stories of four single, female rabbis/cantors who adopt children or attempt medical procedures to create families of their own. A revealing new film, it explores the choices demanded of Jewish women and the often-competing desires of motherhood and faith. More than simply a niche film about the confluence of circumstances for four specific Jewish women, All of the Above is a larger rumination on both what it means to be a Jewish-American woman today who wants to “have it all,” (spiritually, professionally and emotionally), and an object lesson for Jewish girls on the rightness and humanity of such a desire. All of the Above: Single, Clergy, Mother reveals the complicated, intriguing, sometimes frustrating, and ultimately fulfilling journey that is both unique and common to all Jewish- American women: a journey worthy of exultation and one that will define the future of Jewish women for years to come. Aired 2013-14 on ABC. Daunting headlines come from Egypt, from Syria, from Lebanon: another day, another bombing. Where are the encouraging examples of people of faith and conscience working together for the common good? [un]CommonSounds follows musicians and scholars eager to create a new song that crosses religious and cultural barriers. They gather in Beirut, Lebanon and Yogyakarta, Indonesia for concerts and conferences, to perform rock, folk, pop, classical, and Arabic music together. What happens when we listen closely to one another’s songs? [un]CommonSounds explores how music can foster sustainable peace amongst Muslims and Christians. This endeavor is led by ethnomusicologist Roberta R. King, PhD and scholar Sooi Ling Tan, PhD from the Brehm Center at Fuller Theological Seminary in Pasadena, California. As an international, interdenominational school, the Seminary is familiar with the crossing of cultures and traditions. Yet, the challenges of securing visas and gathering the musicians prove daunting. If we struggle to get to the same location, how difficult will it be to get on the same page for peace? Can the deep listening necessary for making music together enhance our ability to understand each other’s beliefs and practices? With eighteen faith traditions recognized by the Lebanese government, we see a country striving to overcome the regional conflicts that press in from multiple sides. In Beirut, signs of hope emerge from the Classical Arabic Music Ensemble led by Dr. Nidaa Abou-Mrad. They demonstrate how the sacred chants of early Christians sound remarkably similar to Muslims’ enduring call to prayer. The Watar School for Music taps into the shared folk songs that unite the Lebanese people. An all ages choir led by Nizar Fares, of SuperStar fame (American Idol in Lebanon) illustrates how voices and faiths can merge into one united song. The silience of the Lebanese people shines through. While we often associate Islam with the Middle East, Indonesia is the country with the largest population of Muslims. The Indonesian Consortium for Religious Studies in Yogyakarta hosts a diverse cross section of arts, faiths, and practices. In Bandung, Irfan Amalee leads a team who work with high school students to reclaim the meaning of Islam as “peace.” A punk rock band, The Mahad, rehearses their positive anthems that echo bands like U2. Sumatran ethnomusicologists Irwansyah Harahap and Rithaony Hutajulu lead the world music group, Suarasama at a closing night concert that lifts up Abraham, Jesus, and Muhammad. Commissioned to write a tune that captures the heart of the conference, Irwansyah unveils, “We Share.” With Rithaony on lead vocals, musicians from the United States, Egypt, and Indonesia gather to celebrate the things “We Share” in common. Space is created for each performer to offer praise to their God in their own language and yet, the music comes together in soaring, swirling harmonies. This is the hope embedded in [un]Common Sounds: people sharing a song that elevates their beliefs while honoring and listening to each other. 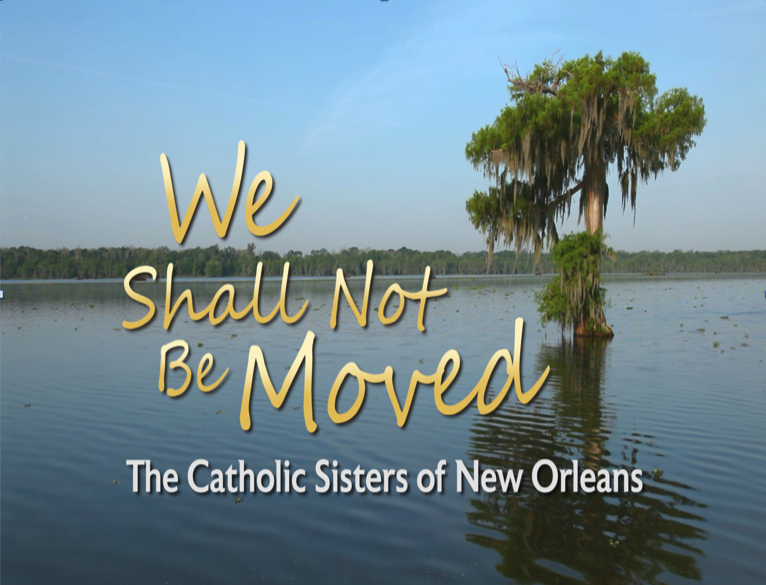 I Believe You: Faiths’ Response to Intimate Partner Violence, is an extraordinary interfaith documentary that explores the stories of survivors of abuse and the response of faith groups to address their needs. Produced with the support of The New York Board of Rabbis, United Methodist Women, Presbyterian Women, the Evangelical Church in America, Odyssey Networks and a consortium of Muslim organizations, this one-hour program, features the music of Janis Ian. From rural programs such as the Susanna Wesley Family Learning Center in Missouri to urban programs such as First Step in Michigan, from prevention programs such as Healthy Relationships held at Camp Herzl in Wisconsin, to recognition programs like the Mikveh Attendants program in New Jersey, from support groups at Emma’s Place in Minnesota to healing programs at Mayyim Hayyim in Massachusetts, faith groups are exploring ways to support, advocate for and help aid the healing of those who have been harmed by abuse. The Reverend Barbara Certa-Werner, Executive Director, Harbor House; Antonia Clemente, Co-Founder and Executive Director, Trinity Healing Center; Rabbi Mark Dratch, Founder, JSAFE; The Reverend Dr. Marie M. Fortune, Founder FaithTrust Institute; Rabbi Lisa Gelber, Associate Dean, The Rabbinical School, The Jewish Theological Seminary; Rabbi Diana Gerson, Executive Director of Dayenu, Enough Silence! ; Imam Khalid Latif, Executive Director, The Islamic Center, NYU, and Chaplain, NYPD; Robina Niaz, Founder and Executive Director, The Turning Point- Services for Muslim Women and Families; Harriett Jane Olson, Chief Executive Officer, United Methodist Women; Dr. Nancy Nason-Clark, Founder, The Rave Project (Religion and Violence E-Learning Project); The Reverend Diane Smalley, survivor and former Co-Moderator, Presbyterians Against Domestic Violence; The Reverend Ann Tiemeyer, Program Director, Women’s Ministry, National Council of Churches; Reverend Traci C. West, Ph.D., author, Wounds of the Spirit: Black Women, Violence, and Racism. It has been said that if people of faith do not advocate for justice, we are complicit in the perpetuation of this crisis. I Believe You: Faiths’ Response to Intimate Partner Violence goes a long way to give voice to the stories of survivors, make clear the assistance faith groups can provide, and offer encouragement and direction for women trapped in abusive relationships. I Believe You: Faiths’ Response to Intimate Partner Violence is made possible in part by the generous support of Odyssey Networks, United Methodist Women, The New York Board of Rabbis, National Council of Churches USA, Presbyterian Women, and ELCA Women''s Ministry and ELCA Justice for Women Program.